Over the last three years, CHS has possibly covered more design reviews than any other news outlet in the city. We’re no champions of development, nor opponents. And we’re not the Daily Journal of Commerce. If this era truly represents an “unprecedented wave” of development for the Hill, so be it. We were here to cover it. Attempts to color our coverage should slow down and consider the environment of change — positive and negative — on Capitol Hill. In March, the East Design Board stopped a project dead in its tracks that did not do enough to address the preservation goals of the Pike/Pine neighborhood and conservation district. Two members of the City Council sent a letter backing that decision up — and asking for more. The 10th and Union developer will be back. But a project that the board deemed unworthy of the neighborhood was, for the meantime, at least, rejected. 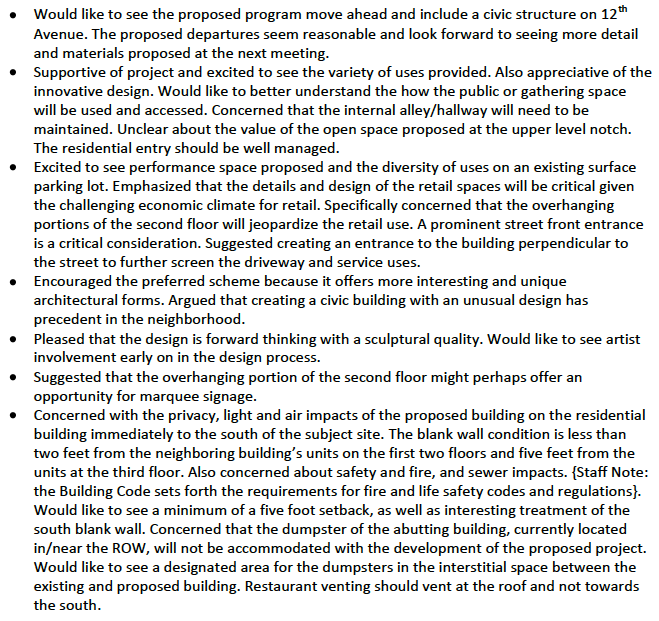 There will be no such rejection tonight at what should be the final step in the public design process for, perhaps, the most well-loved mixed-use development in Capitol Hill history. Capitol Hill Housing’s architects Wednesday night bring their updated plans for the 12th Ave Arts project in front of the newly re-inforced if not newly re-empowered East Design Board. 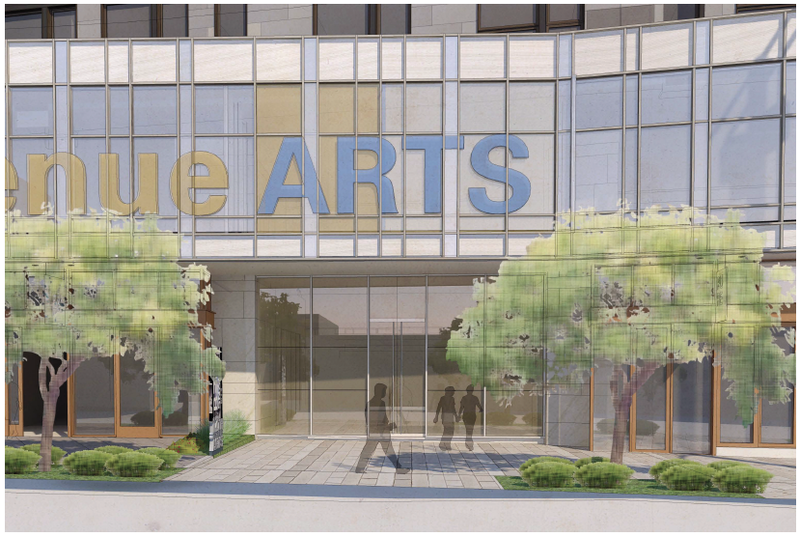 With theater groups already lined up to manage to the performance space, the $38 million project has a 2014 opening target. 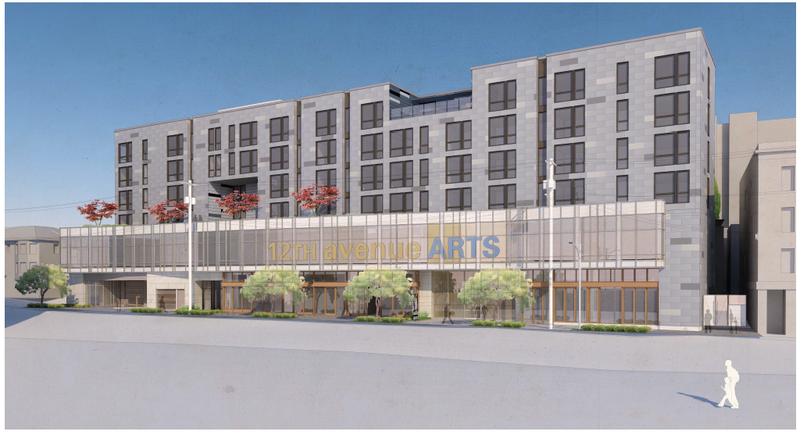 The architect on the project is SMR Architects, creator of the plans for CHH’s Pantages Apartments on E Denny Way. A capital campaign to cover a portion of the budget for the project from community giving continues. You can learn more here. The project mostly sailed through its early design guidance session in October though there was this list of feedback from the public comment portion of the meeting. You can review the entire report on the October EDG here. We’ve embedded the updated plans attempting to meet some of the community requests annunciated above as well as follow the guidance provided by the design board in October. 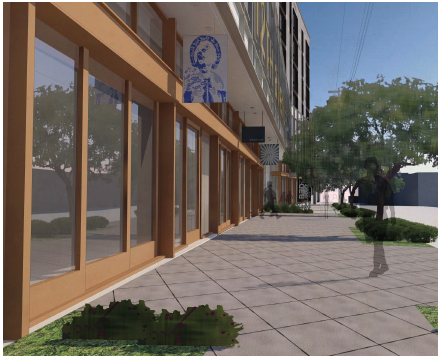 The packet also contains some of the most fleshed-out renderings yet of how the project will look and feel as the board discusses elements like streetscaping, lighting and finishing materials planned for the building. The board will also finalize guidance on the project’s requests for departures to zoning rules for the area including some proposed blank wall space and larger than average parking spaces that the applicant says are required to accomodate the parking needs of the East Precinct as SPD is slated to return to the project when it is complete. How the office space will be eventually deployed hasn’t been announced. But there is at least one organization that could be in search of a new home if another planned development gets back on track. That 10th and Union project we talked about up top? The building home to Capitol Hill Housing’s headquarters was part of the demolition plans for the project rejected by the design review process earlier this year. JC, I’m coloring your coverage “awesome”. I personally may nitpick about tone, semantics or hyperbole but I always appreciate your reporting. I wouldn’t know about this stuff otherwise, just like a lot of other people on the Hill. CHS is our major source of information because of the accuracy, depth of detail, and relevance and I appreciate that. Question: I’m assuming the design review board is the judge of whether or not a developer can get the preservation bonus. Is this correct?